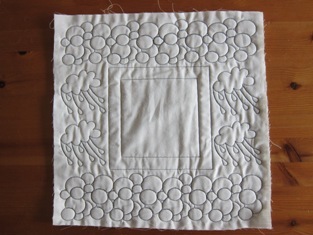 I managed to do some easy piecing soon after my knee could withstand the pain and finished the two quilt tops. 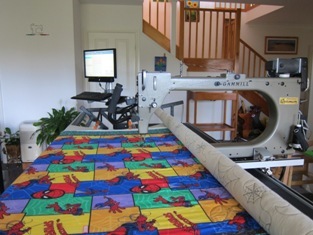 They were intended to be the first two quilt tops to be quilted on my Statler. 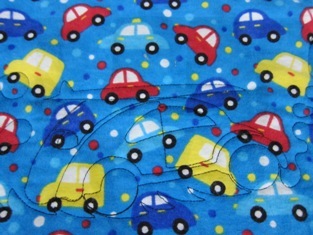 I used the quilting patterns that are freely available from the Statler Sisters Yahoo Group that I'm a member of. As for the backings, I had to make do with what I have got because I wasn't able to drive to the shop and it was closed most days during the holiday, anyway. 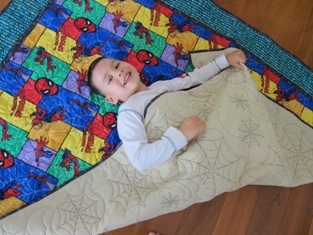 So, one was an old bed sheet and one was pieced from the left over fabrics of other projects. 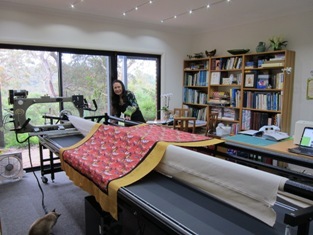 It took me a little longer to finish the binding as I have now resumed my duty at work. 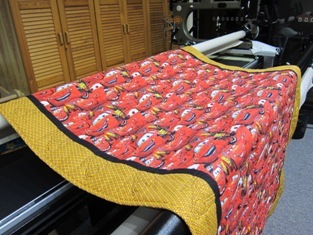 The quilts are Lightning McQueen Car and Spider Man. I promised them to my son (and only child) as his (late) Christmas present and they are definitely not to my taste. But it's what they say - 'Mother's love'....Becoming a mother, at an older age, is the best thing I have ever done in my life, so far, and I'm loving it. 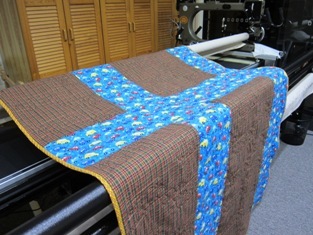 ....Before I loaded the first quilt top on the Statler, being practical as I normally am, I have decided to make use of the left over calico that was loaded on the machine for the training after the installation. 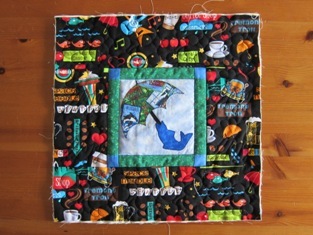 I have found a few free quilting patterns that I thought would be nice for the cushion cover that I pieced from the free kit of Seattle umbrella given to me by Linda, the lovely owner of Undercover Quilts, and the Seattle fabric that I bought from the shop. I visited the shop during my my first trip to Seattle, WA (USA), in the morning before I flew back to Sydney (Australia) after a week long of work meeting. I have planned to finish the cover in a couple of days, in between report writing and taking my son bike riding.! !